One-For-All replacement remote controls are excellent choice when you lose your original remotes. you can program upto 8 devices in your home entertainment gear. Eeduce the clutter of individual remote and use only one replacement remote. Model URC 7880, URC 1810 both are smart replacement remote controls, also comes with iOS and Android app. Turn your device on (not on standby). Locate the brand of your device in the code list. Codes arelisted by Device Type and Brand. Hold down MAGIC until the LED under the device blinkstwice. The LED under the current mode key will stay lit. Press the DEVICES key repeatedly until the LED for thedevice you want to set up is lit. Enter the first 4 digit code listed for your brand (e.g. 2049for a Insignia TV). The LED will blink twice and go out. Now aim the remote towards your device and pressthe POWER key. If the device turns off, your remote is ready to use. If not, repeat steps 3-7with the next code in the list. 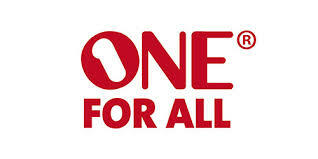 We have compiled a complete list of devices you can control with OneforAll along with remote codes you need for manual direct code entry method incase the the app setup does not work. Your One For All Smart Control contains codes for all popular devices and brands, but newcodes are added to our online database every day. Using the One For All App onyour iPhone or Android phone will allow you to upgrade any new codes into yourremote using Bluetooth Smart, also known as Bluetooth Low Energy. This will ensure thatthe remote will never become obsolete. You can also use the app to set up all devices,giving you the ability to enter the model numbers of your equipment to get the right codefirst time.